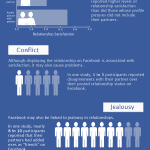 Does Facebook Cause Divorce and Infidelity? Recently, “a new study” showing that facebook is increasingly given as a reason for divorce has been making its way around the internet. Most of the articles on this topic cite a study conducted by by the American Academy of Matrimonial Lawyers. I’ve requested more information about the study from the AAML but they haven’t responded and I can’t seem to find any further information about it. If anyone can provide details about this study, please contact us. Reports about this idea have skirted around whether Facebook is directly “causing” divorce. Some of the articles say things like “one in five divorces involve” Facebook, whereas others come right out and say that “Facebook causes one in five divorces…” There’s even a website, started by a poor fellow whose mate was poached using Facebook, dedicated to this topic. Of course, anyone who has taken an introductory statistics class knows that correlation does not equal causation, so without a study using a true experimental design, claims of Facebook causing divorce are serious overstatements. A second problem with this line of thinking is the assumption that Facebook is leading to an increase in divorce rather than simply being a means by which infidelity (and subsequent divorce, once you’re caught) can occur. Cheating has been around forever, whether it was sneaking out the back door of the castle, sending illicit love letters, talking secretly on the phone, or more recently, emailing or sexting with your partner in crime. There are “50 ways to leave your lover” and Facebook might simply be avenue #51, and next year someone will invent a new way to cheat. Aside from these two large caveats, I do think that there is something new and interesting about Facebook as a means for infidelity, which is consistent with interdependence theory1 and the investment model.2 We know that (low) relationship commitment is a key factor in predicting infidelity,3 so understanding why someone may or may not be committed to their partner will shed light on the role of Facebook. 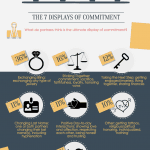 One factor that has been shown to be associated with low commitment is perceiving alternatives to your relationship (see more about alternatives here). Those people with lots of other potential partners “in the bullpen,” so to speak, tend to be less committed to their current partners (although it should be acknowledged that most of this research is still correlational). Facebook could be acting as a virtual bullpen for future partners; you have instant access to many old and potentially new flames, and it helps you keep tabs on and communicate with them. In addition, Facebook might be acting to make you more aware of alternatives, keeping them “primed” or accessible in your mind,4 as you see their pictures and statuses stream through your browser every day. So while I don’t have a ton of faith in the “studies” that have purported that Facebook causes divorce, I actually think that there might be something interesting to study here (of course, I’ve previously warned you not to trust intuitions without data). My take, using the categories pioneered by Mythbusters (“confirmed,” “plausible,” or “busted”) is that this one is plausible. It is consistent with other research in the field of close relationship research; however, I haven’t seen any good data specifically on this topic of Facebook, cheating, and breakup. This would be a great project for someone to tackle! For our other posts related to Facebook, please click here. 1Kelley, H. H., & Thibaut, J. (1978). Interpersonal relations: A theory of interdependence. New York: Wiley. 2Rusbult, C. E., Martz, J. M., & Agnew, C. R. (1998). The investment model scale: Measuring commitment level, satisfaction level, quality of alternatives, and investment size. Personal Relationships, 5, 357-391. 3Drigotas, S. M., Safstrom, C., & Gentilia, T. (1999). An investment model prediction of dating infidelity. Journal of Personality and Social Psychology, 77, 509-524. 4Etcheverry, P. E., & Le, B. (2005). Thinking about commitment: Accessibility of commitment and prediction of relationship persistence, accommodation, and willingness to sacrifice. Personal Relationships, 12, 103-123. Facebook is not responsible for a growth in divorce. it is the people that misuse it or get caught out cheating on their partners. I enjoy facebook for interacting with friends and family and that is all. Whether it be facebook or some other avenue people are going to end their marriages because they either want too or can't help themselves. The first thing I would like to say (in response to the previous comment) is that people can help themselves when it comes to their behaviors regarding their relationships, they sometimes just choose not to. Stating external factors takes blame off of the person, which is problematic because we should all take accountability for ourselves. Also, I really appreciate the fact that you guys (the authors of these articles) always put so much emphasis on data. There are tons of data out there in cyberspace and most of it should be paid no attention; thank you for repeatedly stating the importance of using reliable and scientific data to draw conclusions. Anyone can say, "x causes y" but few people can actually back up those statements with science (or even logic in many cases). Well done. It all comes down to ethics. It's not Facebook's fault for cheaters, it's the individual's use of Facebook. It is a very convenient way to keep everyone that you are interested in, in the loop. Cyber communication is the way of the future. It's up to each person, not to abuse it!